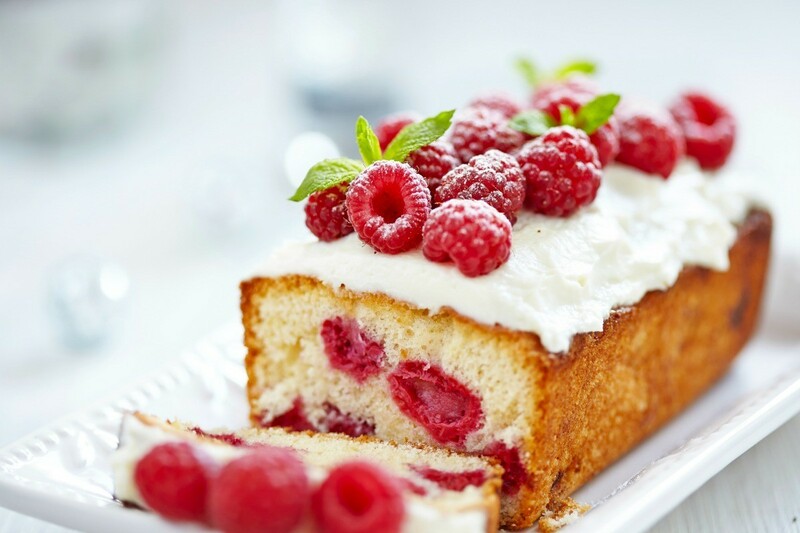 Raspberries whether fresh, frozen, or canned are delicious in many desserts. This is a guide about raspberry dessert recipes. This is a no sugar added dessert that is light, flavorful and easy to make! sweetener - honey, sugar, Stevia, etc. You need to thicken the berries with either Knox gelatin or cornstarch (like you are making a pie filling) and add a tiny bit of sweetener. I cooked each of the berries in a separate container. I stacked the Red, White & Blue ingredients one on top of each other in a glass bowl (so it looked cool from the side) with the blueberries on the bottom, the vanilla yogurt in the middle and the raspberries or strawberries on the top. Lastly I put this into the fridge to set up (like you would Jell-O). * To keep the calories low, use vanilla yogurt, but if you absolutely hate yogurt you can substitute whipped cream. and if you have a milk allergy (or you love the taste of hydrogenated oil), you can use Cool Whip in place of the yogurt. Heat oven to 350 degrees F. Grease bottom only of 9 inch round pan. Lightly spoon flour into measuring cup; level off. In large bowl, combine flour, brown sugar, baking powder, baking soda, salt, cinnamon and ginger; mix well. Add remaining gingerbread ingredients; blend well. Pour batter into greased pan. Bake at 350 degrees F for 25 to 35 minutes or until toothpick inserted in center comes out clean. Drain raspberries, reserving 1/4 cup liquid. In blender container or food processor bowl with metal blade, blend raspberries and reserved 1/4 cup liquid at highest speed until smooth. Press through large strainer to remove seeds; discard seeds. In a large skillet, combine raspberry puree', sugar, lemon juice and pears. Bring to a boil. Reduce heat; simmer until pears are tender. Serve sauce warm or cool over wedges of gingerbread. Garnish each serving with sweetened whipped cream, if desired. Makes 8 servings. Arrange cake slices on dessert plates. Top with raspberries, frozen yogurt, peaches and whipped topping. 6 servings. Truffles are a decadent treat that many people enjoy. Make your own and give them to someone special or treat yourself. Prepare one recipe graham cracker crust. Press most of it in a 9x13 cake pan. Whip 1 cup whipping cream, fold in 1 cup marshmallow creme. 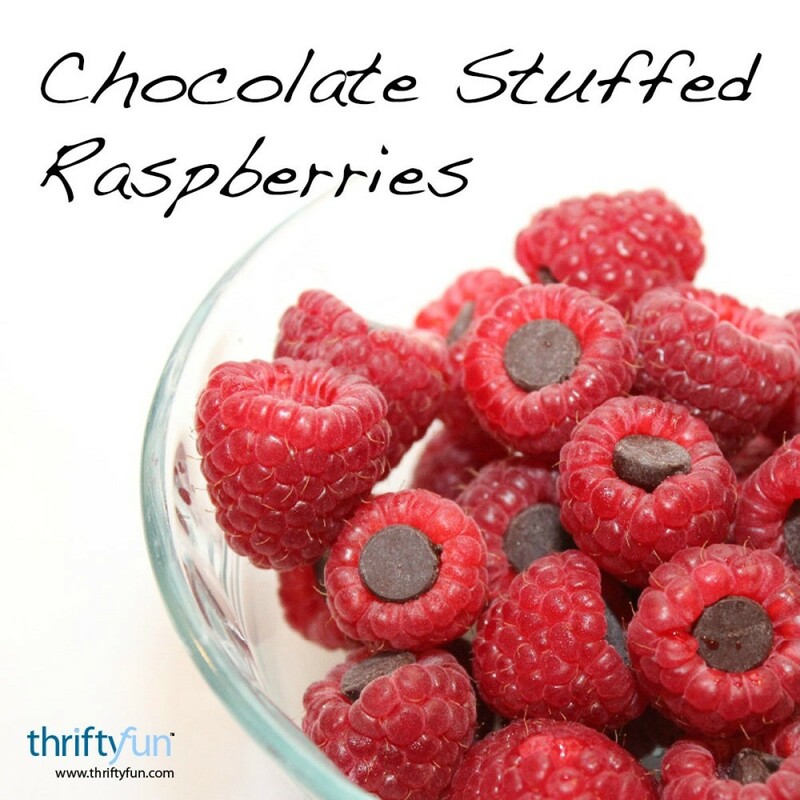 This simple to make melding of raspberries and chocolate is sure to be a hit whenever you serve them. This is a guide about chocolate stuffed raspberries.